EHT receives the TripAdvisor Certificate of Excellence 2017! 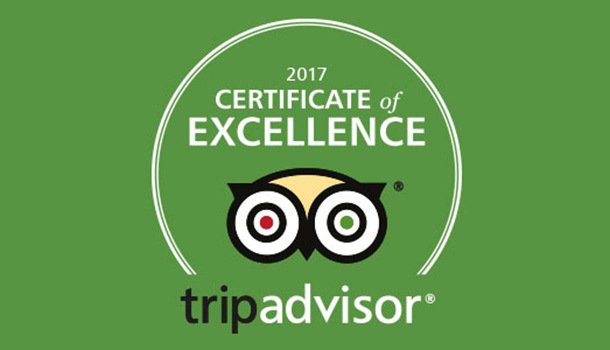 This morning, a nice surprise was waiting for us, the Escape Hunt Tokyo team, in our mailbox: an e-mail from TripAdvisor, informing us that we have been awarded the 2017 Certificate of Excellence! What does this mean? Well, simply that we regularly received great reviews from our lovely detectives! So, from the whole EHT team, we would like to say a big THANK YOU to all the couples, friends, families, school groups and escape games experts who visited us since we opened nearly two years ago, and left nice reviews for our games, facility and staff! Boosted by this great news, we, the Escape Hunt Tokyo team, will continue to work hard to bring you great customer service, and the best escapes!